Making An Application To The Court Of Protection? The Court of Protection in its present form was set up under the Mental Capacity Act 2005. The Court is a Superior Court of Record with its own offices and Judges based in London. The purpose of the Court is to look after the affairs of those who do not have capacity to do so themselves. In an ideal world every one of us should have made a Lasting Power of Attorney in the event that we may at some point lose capacity. Under the 2005 Act a Lasting Power of Attorney must be registered before it can be used and the applications for this are looked after by the administrative arm of the Court of Protection known as the Office of the Public Guardian (OPG). If however you or a close relative have not made a Lasting Power of Attorney and then lose capacity this is when the Court of Protection will become involved. When and if you lose capacity then the Court of Protection will appoint a Deputy to manage your financial affairs – this is often a family member but when no-one is willing or available then the Court will appoint a Panel Deputy, this is normally a solicitor. An application is made to the Court and the forms are long and complex. The proposed Deputy must provide a Declaration known as a COP4 to confirm they have the capability to look after the patient’s financial affairs and that they have not been declared bankrupt. A full and detailed financial statement must be prepared and this application is known as a COP1A stating all the patient’s savings, property owned, income and expenses. At the same time if the patient has a valid Will a copy must be lodged with the application. If the patient is in the process of selling their home then a further application to the Court of Protection needs to be made in respect of the sale and this will need to be lodged with the application for the appointment of the Deputy. The full application needs to be lodged under cover of Form COP1. Once lodged the proposed Deputy also needs to serve notice known as a COP5 on the patient and also family members. Both patient and family members then have five weeks to lodge an appeal against the appointment. 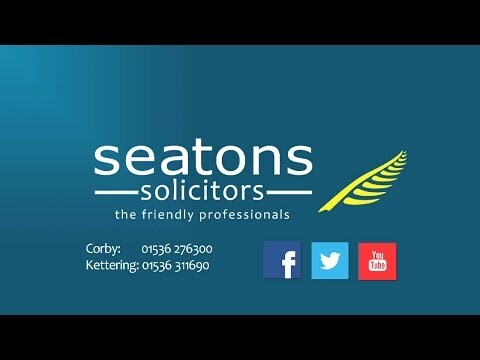 At Seatons we try to make the procedure as stress-free as possible by first gathering the information and then completing the Court of Protection application forms for you. My mum and dad own their house as joint tenants. My dad has now lost capacity and does not have a Lasting Power of Attorney. Can mum sell the house on her own? No. A Court of Protection application must be made for a Trustee to be appointed to act with mum in the sale. Will mum be able to keep the profits from the sale? The Court will decide what happens to your dad’s share of the proceeds of sale. My aunt has now lost capacity and I think her Will is out of date and needs updating. Can she sign a new Will? No. A Will is not legally valid if a person has lost capacity at the time of making the Will. However, in certain circumstances a Court of Protection application can be lodged for a “Statutory Will” to be made. This is a Will approved by the Court taking into account all circumstances and signed and sealed by the Court. I have been appointed Deputy for my mother. She always gave Christmas and birthday presents to me and my children. Can I still do this? Yes you can, but the gifts must be in line with the value given by your mother previously and you should keep a detailed record. For any gifts over and above this a further application will need to be lodged with the Court of Protection. Both my parents have now lost capacity and have a large estate. They have not done anything in regard to Inheritance Tax planning. Is there anything I can do? Yes. You can make an application to the Court of Protection to make a Statutory Will containing provisions in respect of reducing their Inheritance Tax liability. In exceptional circumstances depending on their wealth the Court of Protection may approve gifts to reduce the estate taking into account the seven year rule. The seven year rule means that any gift that you make within seven years of your death is clawed back into your estate for the calculation of Inheritance Tax, on the seventh anniversary the gift will pass free of tax. Please telephone Susan Sorrie on 01536 276300 or email sues@seatons.co.uk for more information.